The holidays are over; it’s back to work, school and regular routines. Although it’s a new beginning, January often quickly turns into drudgery. For many, it’s gray, it’s cold and it’s miserable. A letdown after the excitement and joy over the holidays combined with bad weather and little daylight can be enough to send you into some serious blues. Many people experience a mild form of the blues, while others develop Seasonal Affective Disorder or SAD. In the case of the more serious condition, seasonal depression and weight gain are some of the symptoms. Should have a serious case of blues that keeps you from getting out of bed in the morning, see a doctor or a therapist to get help addressing the problem. Given the cause of the blues, one obvious solution is to get more sunlight! 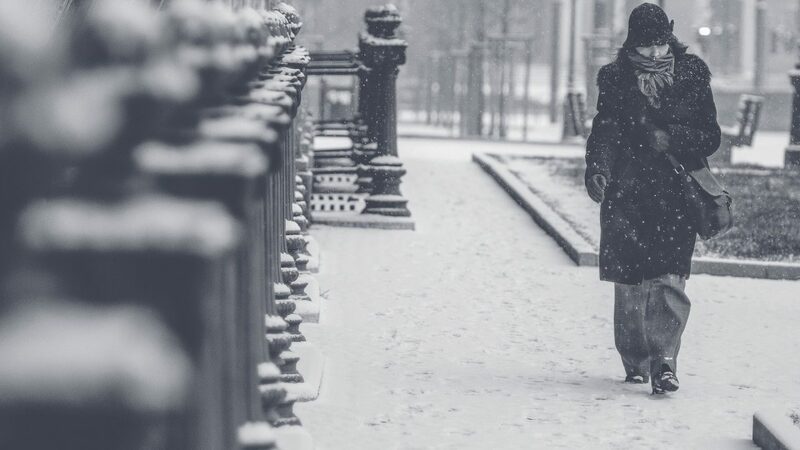 Sit by the window or brave the cold for a midday walk. Another solution are helpful light boxes that mimic the sun’s rays. Unfortunately, just any old lights won’t do. You need a special type of full-spectrum light that is extremely bright in order for it to cause a change in your body’s chemistry. Exercise is a natural antidepressant. When you exercise, you release happy hormones like dopamine into your body. In addition, you wake yourself up, helping you regain some energy lost in the winter blues. Ideally, you’ll get your exercise outdoors where you can also get some sunlight. But, if you can’t manage that, go to the gym, a dance class, swim, or engage in some other form of exercise that you find enjoyable. Looking forward to a vacation that you’re planning can bring you great joy, a study shows. Have you ever looked forward to a vacation for weeks in advance? It’s a fairly common experience that can bring you joy in a season that otherwise may seem rather bleak. Even if you can’t plan a long vacation with a large budget, there are many options out there. You could plan a staycation or weekend getaway close-by to your home. Bed and breakfasts, museums, markets, and other local attractions are other options you might consider for an affordable vacation you can look forward to. Some foods, like refined carbohydrates can make you feel even worse because of the blood sugar spikes they often cause. So, opt for complex carbohydrates and lean proteins to help you maintain a more even blood sugar. This will also help you stabilize your moods. If you’re struggling to feel motivated to do so, use Picniic’s helpful recipe and shopping list features so that you can plan your purchases. This will help you stay on track, even when you feel more like eating a plateful of donuts. Seeing friends and family can also improve your mood, helping you keep the melancholy at bay. It can sometimes feel like a challenge to get out, but try to accept invitations to socialize. Most of the time, you’ll find that you are able to enjoy yourself once you are out. For a double punch against the January blues, socialize while walking or exercising. In a similar way that planning a vacation can give you something to look forward to, starting a hobby can create a similar, if less intense, effect. For example, you might join a weekly painting class, take up knitting, start a dance class, begin swimming, or something else! A weekly event can be a great way to keep you always looking forward to the next upcoming activity. This can also be a great way to help you meet others and enjoy some time socializing. Being cold is part of the discomfort of the season for many people who get the January blues. So, if possible, invest in high quality, warm boots and a coat and dress in layers so that you stay warm. Invest in keeping your home warm with good insulation and a quality heating system. Windows and doors are often the most problematic areas and there are many easy to install products available to help you further insulate these parts of your home. Also, keep warm drinks available such as herbal teas and the occasional coffee or hot chocolate. With these tips, you’ll be able to kick the January blues to the curb and enjoy a happier season. While these tips may not cure you completely, you’ll likely achieve a greater energy level and be able to operate with a better mood than you would otherwise. Use Picniic’s calendar to help you plan out your activities and/or vacations so that you can keep track of everything. Also use our shopping lists to help you remember to keep your tea stash stocked and your pantry full of healthy, delicious foods. The great thing about the January blues is that they don’t last forever. Before you know it, spring will arrive and warmer, longer, sunnier days will arrive. Do you have great strategies for sailing through the January blues? Tell us about them in the comments below.